Bell Bay Campground Day Use Area (Coeur d'Alene River Ranger District) is on the southeast shore of Coeur d'Alene Lake. From Harrison, take Hwy. 97 north three miles and turn left on East Point Rd. See the Forest Service Campground sign. Drive another 2.9 miles, cross the cattle guard, and take the Lower Loop Rd. one mile to the Forest Service sign. When you have gone about half way, you can see where the hiking trail crosses the road on its way from the lakefront to the Upper Loop Rd. Look for the Forest Service campground sign at the hairpin turn. Go straight to enter the camping area. Drive another .2 of a mile to the parking area, which will be on your left next to the restroom. 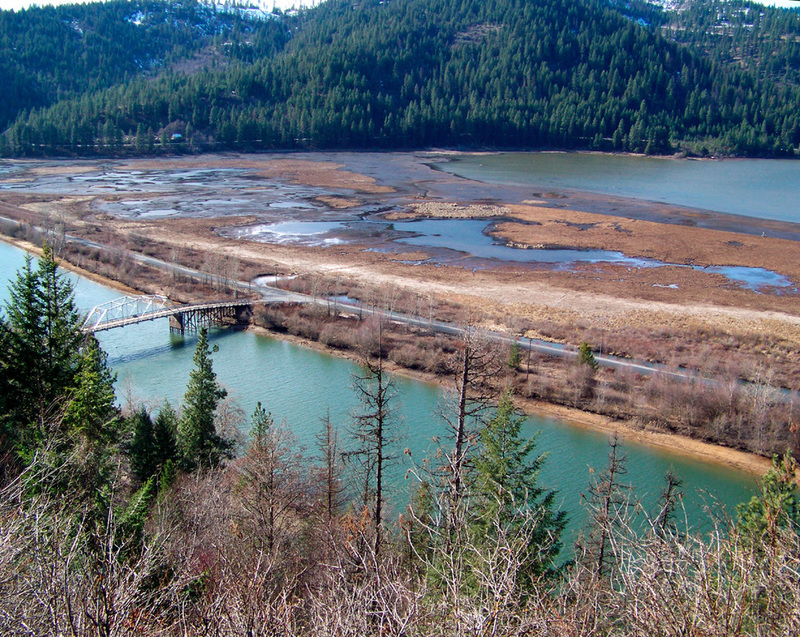 Get a bird's eye view of the Coeur d'Alene River, Thompson Lake Wildlife Refuge, and Anderson Lake on this steep hike near the Trail of the Coeur d'Alenes Springston Trailhead. The trail is primitive, free, and not signed. Springston Trailhead is three miles from the Harrison Trailhead on the Trail of the Coeur d'Alenes, or an easy four-mile drive from downtown Harrison. To drive there from Harrison, head north on Hwy 97 and cross the bridge two miles from town. Turn right onto Blue Lake Rd. after the bridge. From there it's 1.8 miles east to Springston Bridge. Turn right over the bridge to the trailhead parking area. Walk toward Anderson Lake on the dirt road and look for a trail on your left that leads uphill. Follow it around to the right for a good climb. Tip: There is a vault toilet at Springston Trailhead, but you will have to provide your own drinking water. 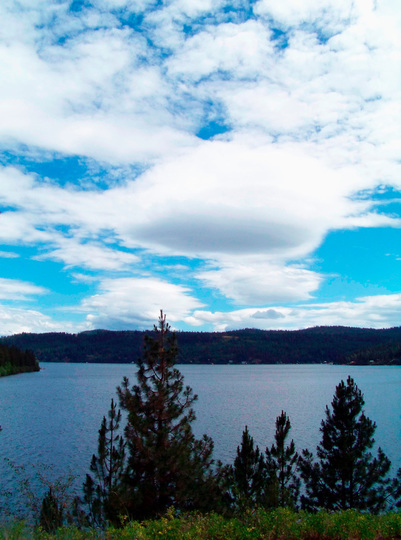 Heyburn is Idaho's oldest state park and has beautiful forest and lake access with 13 miles of trails. Some are dedicated hiking trails. Most are shared with cyclists and horseback riders. The most direct route to the park from Harrison is to bike 7.5 miles south along the lake on the Trail of the Coeur d'Alenes. After riding over Chatcolet Bridge, continue one mile to Indian Cliffs Trailhead. Here you will find several hiking trails, including the 3-mile Indian Cliffs trail that climbs through light timber and over some wooden bridge crossings, for a spectacular view of the lakes and St. Joe River at the top. The trail is easy to follow with fairly mild elevation gains People report this trail is a good family hike with young kids. However, if they are very young or new to hiking, you might want to stick with the easier one-mile CCC Nature Trail from the same trailhead. It circles through a mostly level area with many species of trees. Tip: Heyburn State Park can be accessed from Harrison (7.5 miles) if you take the non-motorized Trail of the Coeur d'Alenes. Otherwise it's about a 35-mile scenic drive around the south end of the lake. You can easily spend a whole day exploring the park. Stock up on water, lunch, and snacks before heading to Heyburn. If you take the Trail of the Coeur d'Alenes, there will be restrooms and rest areas with picnic tables along the way but no drinking water. There is an entrance to the National Forest six miles from Harrison where you will find miles of forest service roads and undeveloped terrain to explore. Take Hwy 97 north and turn right after the bridge (east) onto Blue Creek Rd. Follow the road to the east end of Thompson Lake to a fork in the road at 3.2 miles. Take the upper road, Blue Lake Rd. Go another 1.2 miles and turn onto the dirt road on the left where a Forest Service sign says, "Motorized travel limited to designated routes." Entry is free and there are no services. Tip: Get a map so you don't get lost. Stock up on water and food before leaving Harrison. Be alert for wildlife including deer, elk, moose, and bear. Mineral Ridge is a great place to stop when driving to or from Harrison on the Lake Coeur d'Alene Scenic Byway (Hwy 97). 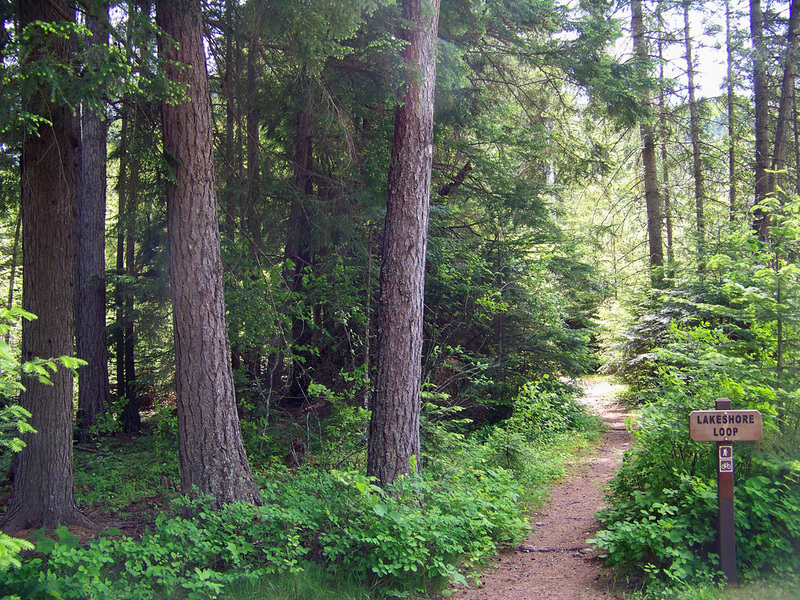 This National Recreation Trail is a popular spot for its forested beauty, views of Lake Coeur d'Alene, and its historical mining significance. Mineral Ridge features a 3.3-mile interpretive loop trail, which is known as a “classroom in the forest.” A self-guided tour takes visitors through the native animal and plant communities of the forest at 22 marked stations. The trail offers spectacular views of Lake Coeur d’Alene. There are some elevation climbs, so expect kids under 10 years old to need a bit of positive reinforcement. The area is managed by the Bureau of Land Management. Take the Wolf Lodge Bay/Harrison Exit #22 from I-90, south on Hwy 97 toward Harrison. Look for the Mineral Ridge Trailhead parking area on the left side of the road three miles south of I-90. Tip: The paved parking serves as a trailhead and picnic area with drinking water, two picnic shelters with tables, pit toilets, and trash receptacles. All trailhead facilities except the upper picnic shelter are accessible to visitors with disabilities. Boaters can avail themselves of the Mineral Ridge Boat Launch just below the Scenic Area.